Cloaks & Spells, from developer Ian Sean Menzies, is a game with an old school look and feel. This action adventure game takes place in a dark world filled with monsters and demons, and the player takes on the role of a mysterious character wearing a cloak. The action focuses on melee combat, with a Castlevania-esque whip as your primary weapon, but you have access to magic as well, including a flame spell for roasting enemies and a magical barrier for defense. 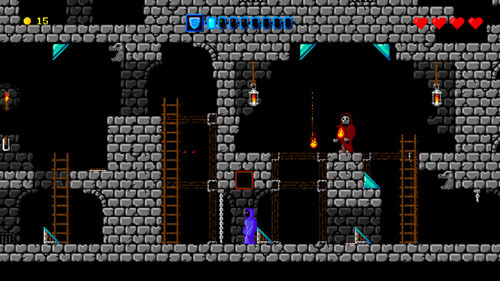 The game also focuses heavily on exploration and puzzle solving as a means of progression, with no small amount of box pushing and lever pulling to be found.